Home » Lannette Phipps » Why wouldn’t you build your custom dream home at Laguna Shores Oceanfront Resort? Why wouldn’t you build your custom dream home at Laguna Shores Oceanfront Resort? There are many reasons to build your custom dream home in Rocky Point, Mexico and even more reasons to build it at Laguna Shores Oceanfront Resort. I have listed a few of the top reasons why you want to build here and nowhere else, so let’s take them point by point and if you have any questions you can contact Wayne Corcoran, Laguna Shores Lots and Custom Homes at (480) 370-1523. QUALITY CRAFTSMANSHIP: The Laguna Shores Custom Home Building Team uses the materials you request (tile, marble, granite, travertine, etc.) to build your custom home. Attention is paid to the smallest of details and you can expect the best when you are handed the keys. There are no cutting corners, substituting materials, running electrical wires all over the place, flimsy plumbing fixtures, thin window glass, cheap sliders – oh the list goes on and on. Only the best possible materials – to fit your budget – go into building your home and only the best team builds you a home that will last. 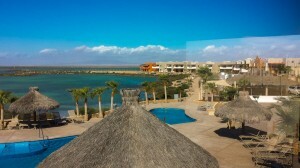 COMMUNITY: Laguna Shores Resort is the ONLY private master planned resort of its kind in Puerto Peñasco, Mexico. Exclusive and private. The streets are spacious and covered with paver stones and lined with street lights. All utilities are underground and water is delivered responsibly via the resorts own desal plan and water reclamation plant. The entire resort, from the time you enter through the arches, until you reach your destination, is clean, clean, clean. The beaches are cleaned in front of the resort area and volunteers clean up the miles of beach away from the resort. Laguna Shores’ low-density design is perfect for homeowners wanting space. Who wants to be on top of their neighbor? There is a mixture of condos and homes spread throughout the development. The security is top-notch so you never have to worry about accidentally leaving your garage door open when you are away for the day. And the list of amenities goes on and on from the 5,000 sq. ft. trophy pool to the complete spa and game room: plus an onsite restaurant…and the list goes on. Laguna Shores Resort is plain and simple a well laid out resort with all the amenities you want. PRICE: The complete cost of your home – lot and all – is included in many of their packages. Or you can build on your own lot of lot of your choice. Choose a simple 1 or 2 bedroom home for retirement or small families, or go big and beautiful beachfront or perhaps you would like a 2-story home with patio views all around. Whatever you dream, Laguna Shores can build. The architectural drawings/design and alterations are also included in the price, which is disclosed to you up front. No hidden costs: No, “Oops, we need to add this at this cost and this at an additional cost”. Whatever your needs are they can be met by Laguna Shores’ own creative in-house design and construction team. Design your home to stand out with the features you want or pick from one of their many floor plans. And you will be living in your house 90 days after you approve the blue prints to your custom dream home. The design and building team is with you from start to finish and the resort has a proven track record of forging ahead even in troubled economic times so they will always be there whenever you need them. Will your contractor give you a guarantee plus all of this? AMENITIES: Many of the amenities you will enjoy are listed above in the COMMUNITY section, but let’s expand on them a little. Living at Laguna Shores Resort, whether you are here full or part time, is a relaxing and pleasant experience. The amenities are all centrally located and are never very far from wherever you build. The 5,800 sq. ft. infinity edge trophy pool is really the centerpiece of the resort with its crystal blue water, built-in lounges, child’s wading pool and shaded palapa swim-up bar. The entire pool is lined with shading palapas, lounge chairs and tables. Next to the pool is the 15-person hot tub and the fire pit – both are a source of enjoyment whether its summer or winter. The pool sits right on the beach where there are beach cabana beds, lounge chairs and tables and more palapas. There are also many beach games such as volleyball, horseshoes and tether ball located in this area as well as a children’s playset. Kayaks and paddleboards are also on the beach for trips through the estuary or out into the Sea of Cortez. Mikky’s Beach Club Restaurant serves up an excellent breakfast, lunch and dinner and has a full bar. Located adjacent to the pool there is a game room with billiards and foosball – just to name a few games as well as a full service spa and exercise room. At the Front Desk/Reception area you will find movies, books, games, bicycles and all the equipment you need for basketball or tennis. If you want to enjoy a cigar with friends you can pop over to the Cigar Bar located near the restaurant. And be sure to take advantage of the miniature putting green located along the estuary. There are many more amenities to mention, but you get the idea that life here at Laguna Shores Resort is pretty awesome. FLEXIBILITY: As far as the design of your custom home, you have lots of flexibility when it comes to interior and exterior colors, designs, shapes, materials, floor plans, etc. They want to build YOUR dream home so if you can imagine it, Laguna Shores can build it. There are some standards that are to be abided by since they always want the resort to remain classy, clean and have every home be an asset to the community. If you take a look around the resort you will see many different types of homes so feel free to include everything you’ve ever wanted in your new custom home. LONGEVITY: Laguna Shores Resort has been around for 20 years and it’s not going anywhere. 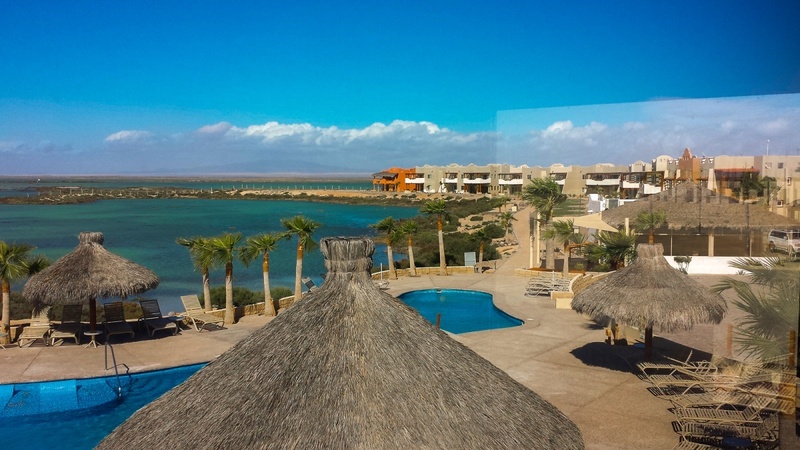 Did you know that Laguna Shores was the only resort in Rocky Point that continued to build and improve all throughout the economic crisis? And they continue to do so with new condominium buildings being erected and improvements being made all the time you never have to worry that you will be left out in the cold. Laguna Shores Resort is just starting to bloom and will be developing for years to come making your living experience the best it can be. So, why would you want to build anywhere else? Come out and have a look at what Laguna Shores Resort can do for you. Call Wayne Corcoran at (480) 370-1523 from the U.S. or email him at waynec@lagunashoresresales.com. Ask about our included rental package that provides time to come at see how your house construction is coming along at Laguna Shores Resort.